We unthinkingly rely on our bodies to help us accomplish daily tasks—from brushing our teeth to performing our jobs. On a daily basis, our hands, arms, legs, and feet carry us and balance us. Whether we are sitting behind a task, chasing our children, or performing physical labor, our jobs and daily lives are shaped by our physical abilities. That is why a limb amputation is a severe and significant injury, forcing amputees to face life with new challenges—physically, emotionally, and financially. Every year, approximately 185,000 amputations occur for a wide variety of reasons. For some, an amputation is the result of a medical disease, but for many others, these serious procedures are the direct result of another person’s negligence and carelessness. Here, learn more about limb amputations, the common causes, life after amputation, and possible legal options. While these are not the only causes of amputation, they do account for many significant injuries. These accidents can occur in just a moment—and can shape the future for accident victims and their families forever. An amputation requires major surgery. A surgeon will make an incision at the site of the amputation that allows for enough healthy tissue to cover the amputation stump. In some cases, it is not possible to close the tissue over the stump during the initial operation, and a second procedure must occur at a later date. After the surgery, the victim will likely have to remain in the hospital for at least a few days. Physical rehabilitation often begins a few weeks after the surgery. For many amputees, a prosthetic limb can be fitted, though the process is lengthy and can require many trips to medical specialists. For many amputees, emotional recovery can take much longer. It can be extremely difficult to cope with the loss of the physical function, loss of sensation, and the cosmetic changes that occur after an amputation. Among other challenges, many amputees experience phantom pain and depression. Phantom pain is pain that feels like it’s coming from the body part that is no longer there. While previously thought to be a psychological problem, experts now recognize that phantom pain is real. For some, this pain fades over time, while others must undergo specialized therapies or take medication to manage the problem. Additionally, some amputees will experience depression as a result of their injuries. Many amputees will also be frustrated by lack of mobility, embarrassed at their new physical look, or feel isolated and alone. In addition, there are many financial considerations that must be made after an amputation. Often, amputees are unable to work and earn income during their recovery, or even after depending on the nature of their job. This loss of income, coupled with the high price of recovery can be devastating. The Centers for Disease Control and Prevention (CDC) estimates that the immediate costs of amputations are near $8.3 billion every year. 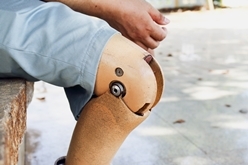 This figure does not consider the additional high costs of prosthetics, rehabilitation, or any home and vehicle modifications that may be necessary. Additionally, a study from Johns Hopkins predicts that the number of Americans living with a limb amputation will double by 2050. The costs associated with these injuries will continue to rise, and the victims and their families can be faced with increasing financial challenges during an already difficult time. A limb amputation is a traumatic and life-changing experience. Accident victims who undergo an amputation often experience a wide range of consequences—from physical disabilities to emotional struggles. However, with the right help, it is possible to lead a successful and full life after an amputation. While the most important first step is to find the right medical team to ensure your good health, an experienced legal team can help address the remaining financial and personal needs. In Delaware, accident victims may be able to seek justice and obtain compensation for their injuries due to another person’s negligence. If you or someone you love has undergone a limb amputation after an accident, you may be eligible to file a claim. The skilled serious injury lawyers at the Morris James Personal Injury Group have represented many victims just like you, and we can help you learn more about your rights and legal options. Fill out our online contact form today for a prompt response from a member of our team.